Oftentimes, the act of leading involves influencing others to want to say yes to our requests. To be most effective at getting others to say yes, it is important to first understand the most common reasons why someone may resist our requests. In other words, what motivates someone to say no? To help identify why someone might say no to your requests, you can refer to the acronym GREAT. GREAT outlines the five most common reasons why someone might say no to your request and helps you strategize how to get to yes. If you are asking someone to say yes to your request, the person is more likely to resist if they feel that your request for their cooperation is focused on your best interest and not theirs. To overcome their belief that you are only interested in yourself, find ways to demonstrate that your request is in their best interest first. Also, find examples of others that have personally benefitted from the same request. Many times, if an individual feels the person making the request has been abrasive or has possibly made the same request multiple times, it can provoke a juvenile response, where the individual says no even if they know a yes might be in their best interest. Ask yourself If your approach might be causing the no and what alternative approaches you might take. People will resist saying yes to a request from someone who they do not feel is qualified to make a particular request. 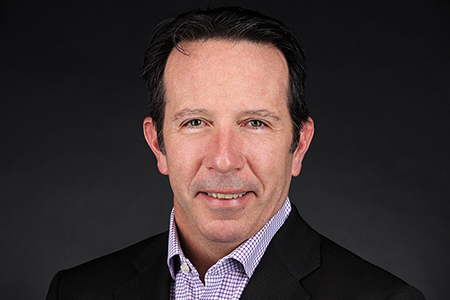 To overcome resistance based on questionable expertise, know your facts and have solid examples that demonstrate your authority in the area in which you are asking for a decision. Also, make sure individuals are aware of any past experience or credentials that reinforce your credibility. This can be the hardest no to overcome. In his book, Thinking Fast and Slow, Daniel Kahneman presents convincing evidence to demonstrate that we are more motivated to avoid a loss than a gain. Apathy is protection against a loss for many individuals because it protects them against the unknown. To overcome apathy, demonstrate how not making a change will actually cost more in the future than playing it safe today. People will find it easy to say no to people they don’t trust. Take inventory of your relationship with the person you are influencing and ask yourself if their level of trust might be a roadblock. Testimonials from people or organizations that your individual respects can help overcome a no because of distrust. While there are other reasons for someone saying no to our requests, the majority can often be placed into one of the five areas listed above. Even “lack of money” or “time” is often an extension of one of the reasons already listed. If someone doesn’t trust what you are saying, they will not have the money or time to say yes to your request. The next time you are preparing to make a request of someone, first ask, “How GREAT is my resistance?” Understanding the no will often be your best path to a yes. 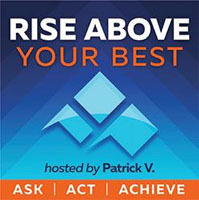 Patrick Veroneau is the host of the Rise Above YOUR Best podcast that uncovers the habits of individuals who are achieving great success and presents research that proves great success is available to anyone.